ottawa, yow, articles and credit cards. 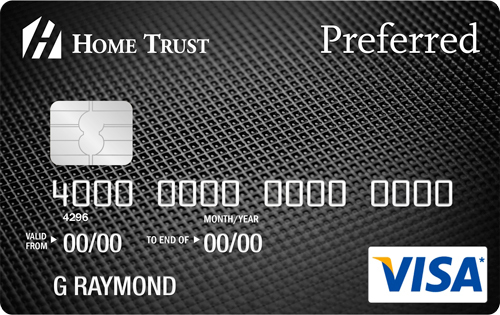 6 Responses to "The Amazon Visa is no more - but here's what you can replace it with"
I'm wondering if the Home Trust card is better than my current method of having a US$ bank account and a US$ no-fee credit card (the balance owing of which is automatically paid via the US$ account on the due date) , and transferring funds from my Cdn $ bank account to the US$ bank account before the due date, whenever the exchange rate looks optimum. I'm assuming your bank is charging you the typical 2.5% to 3.5% foreign exchange fee when you make the transfer from your CAD$ bank account to your USD$ bank account. The banks typically charge this fee by hiding it in an inflated exchange rate. A true 'no foreign exchange fee' credit card does avoid this 2.5% to 3.5% foreign exchange fee. unlimited cash back rewards on all eligible purchases made in a foreign currency"? Home Trust = real exchange rate (0%) + 1% cashback on all purchases. If you qualify for the Rogers World Elite you can get 4% cashback which gives you a net result of 1.5% and does beat the Home Trust. Some more info in this article: What is the best way to exchange money or pay for things in a different currency? Just note that the cash back from the Rogers cards can only be applied to your Rogers bill. Except, once a year, you can call in and have it applied to your Mastercard bill instead. Bit of a hassle. Thank you @Chris Myden for providing an easy to understand explanation!